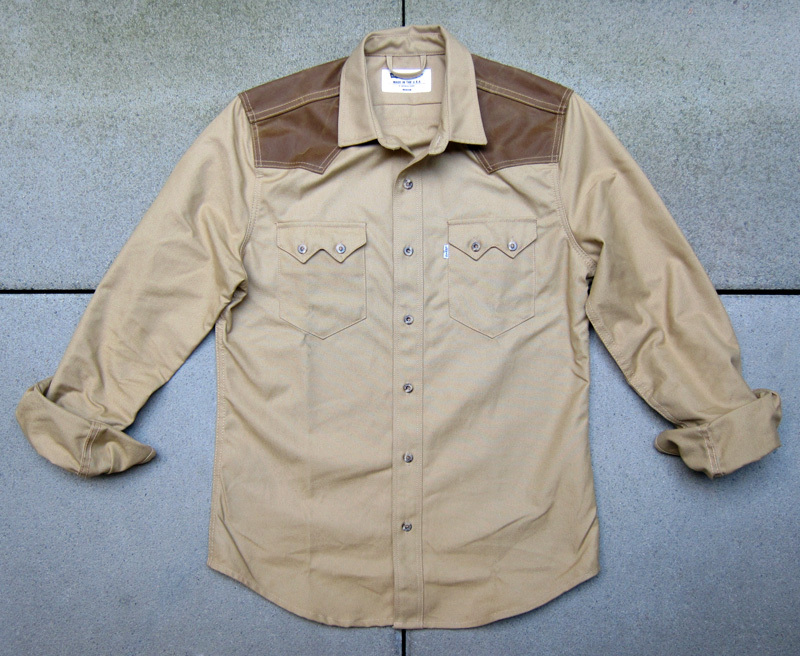 At home with the sawtooth shirt. 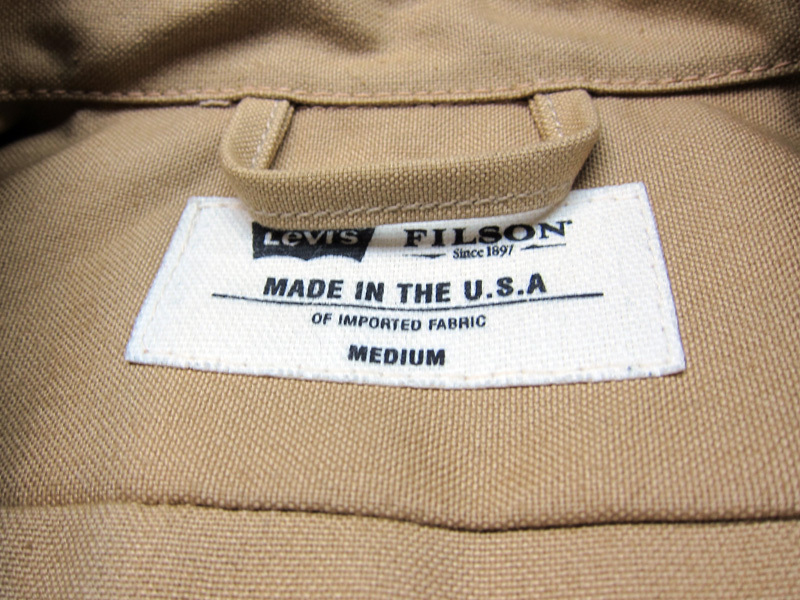 Filson’s tin cloth, if you’re unfamiliar with it, is a strong durable fabric that is both wind and water resistant and is great for colder months – unfortunately it’s still summer and I won’t be able to wear it for at least another month or so, but at least that will give me some time to break it in. 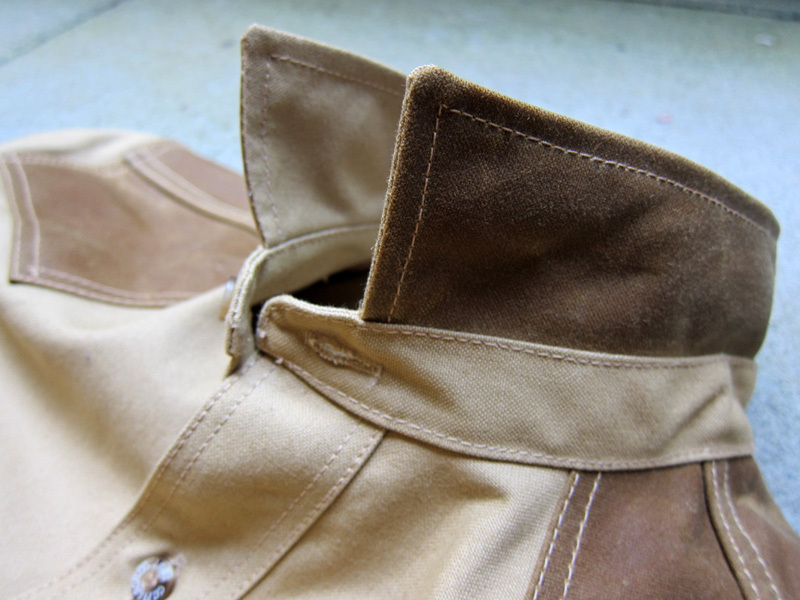 A view of the oil finish tin cloth used under the collar and on the yokes. The choice of two fabrics provides a nice contrast. 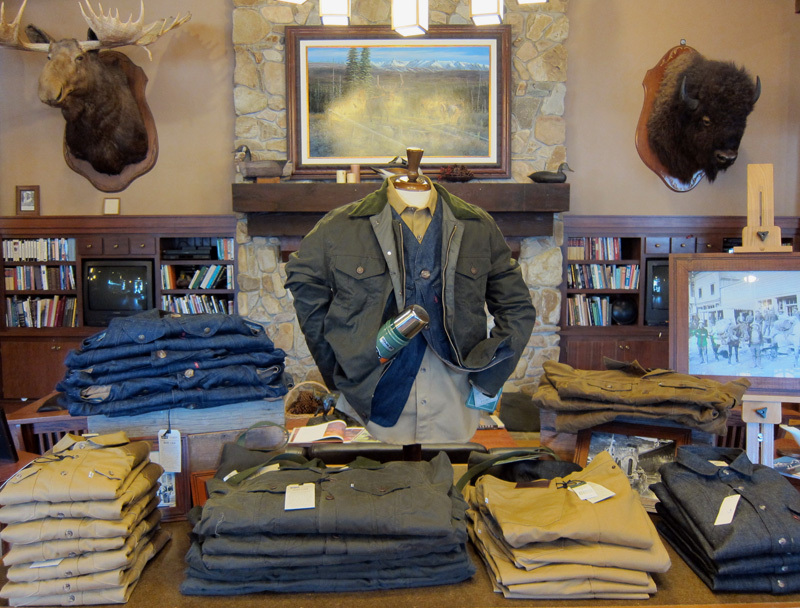 Related Post: A look at the new Levi’s x Filson collection (the first set from last year).